Thank you for your interest in K&N products. You are registered to receive notification about products for your vehicle. This email was sent automatically to inform you of available products that might fit this application. Listed below are the current K&N products for a 2009 KIA BORREGO 3.8L. Please review the full application description including comments to ensure that the product will fit your vehicle. When purchasing a K&N Replacement Air Filter or High-Flow Intake System don't forget to purchase a K&N Recharger kit for proper cleaning and re-oiling of your K&N Air Filter. We appreciate your feedback, and we use product requests like yours to help us determine what new products to develop in the future. 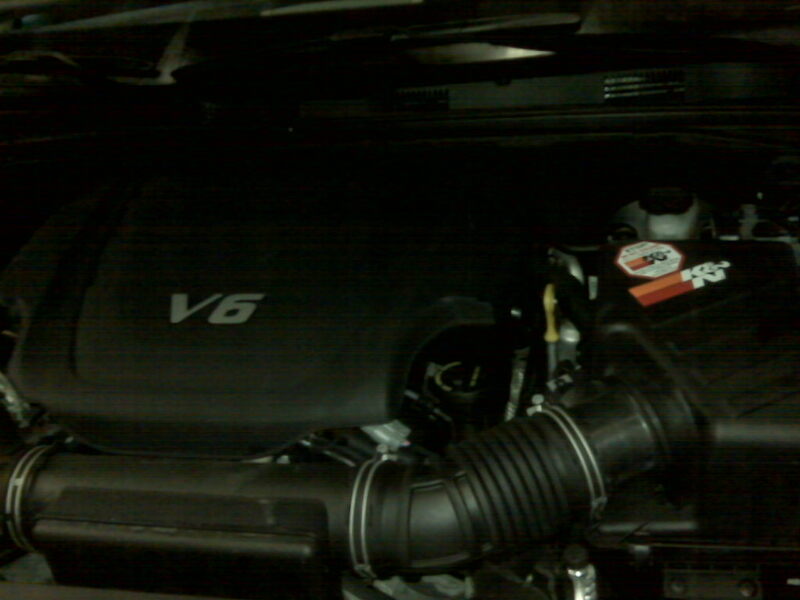 We will notify you again if any additional products become available for this type of vehicle. More information about our complete line of products is available at K&N High Performance Air Filters, Air Intakes, & Oil Filters. Please contact us if you have any additional questions. Please do not reply to this email. Thank you for choosing K&N! You received this message because you have subscribed to the K&N automatic product notification service. If you received this message in error, or no longer wish to receive these notifications, please unsubscribe by clicking the Unsubscribe link below. I got the same email the other day. I already got one that fits (33-2420) a few months ago. I compared the two on the K&N website and found that the one I got earlier designed for Jeep has slightly less airflow (536.8 CFM) than the one designed for the Borrego (33-2447, 595.3 CFM). I also noticed that the 33-2420 was 5/8 inch taller than the 33-2447; also the 33-2420 holds almost double the required oil. This probably accounts for the reduced airflow. 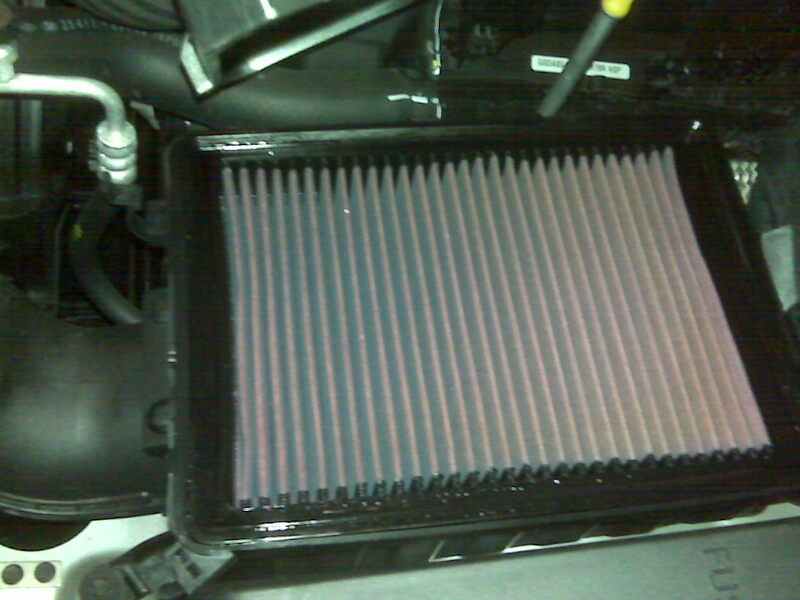 I might pick the 33-2447 because I feel the need to have the filter that was designed for an exact fit. Last edited by bartman146; 08-12-2010 at 06:10 PM. I won't ever use a K&N in any engine I care about. Simple physics, if you want more air to pass, you have to filter it less. K&N's simply allow more dirt through. Do a used oil analysis from blackstone labs sometime, it might change you mind about non-paper element filters. New owner here. just bought myself a V6 LX 4WD. Nice copperhead colored base model, with no options except grey leather and factory floor mats. Now regarding these air filters, I'm a little confused. K&N 33-2420 for the Jeep Grand Cherokee 3.0 diesel crosses to the Spectre 888817, right? But the K&N for the Borrego is 33-2447 and that crosses to the Spectre 889401 - even though their application guide doesn't list a filter for the Borrego. Above Mark posted the specs for both of the K&N filters and the Borrego filter (33-2447) flows about 11% higher CFM, which seems totally counter-intuitive since the Jeep filter has deeper pleats - which translates to more filter media area - which usually means less restriction and higher air flow. Anyway, I was wondering if anyone tried the Borrego-specific K&N (or the Spectre equivalent) and how it worked out for you. And for those who bought the Spectre 888817, how is it holding up for you? Last edited by BobC; 04-08-2012 at 12:15 AM. 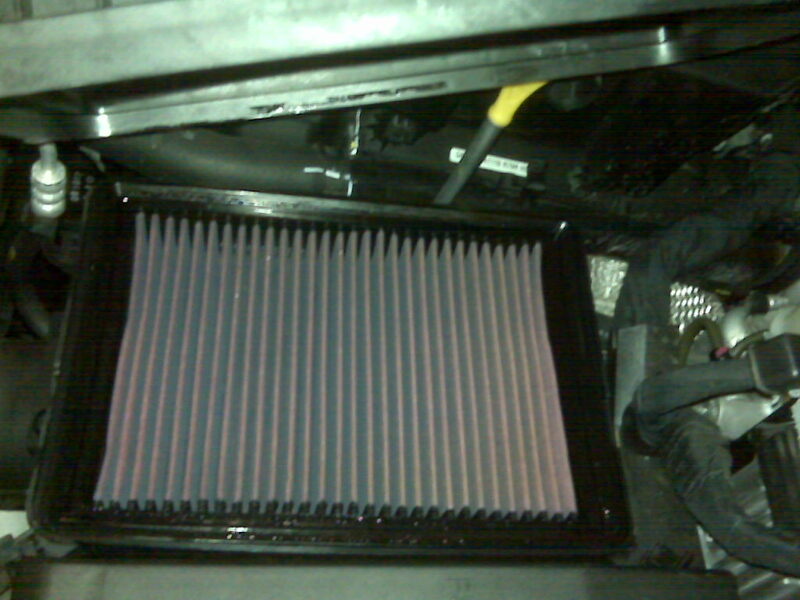 I installed K&N air filter into my 2003 Sorento about 2000 miles ago. Overall I am happy with the filter but not sure if it really does anything big on improving the SUV ride, although I will take any small improvements anytime. Did anyone noticed if Tornado Air System helps with gas mileage or any other benefit?